When you are determining whether to buy a home, there are several key things you must consider before making your purchase. It may be difficult to assess whether a home is a good buy from reading the description online. Arranging a viewing for the property can provide you with better and more accurate perspective. While on location, it is important to ensure you gain an understanding of the condition the home is in to prevent yourself from sinking money into a property requiring extensive updates or repairs. A new home is an investment and you need to be sure you are investing your money into the right property. As you look at different homes, you must keep your expectations realistic, as your judgment can become clouded if you are focusing on finding the perfect house. No house is going to be perfect and there are certain house aspects easier to change than others. 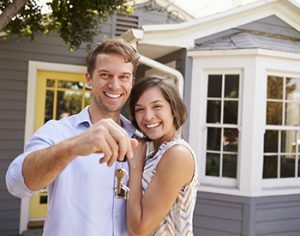 Follow these tips and tricks to help you determine whether a home is a good buy. When you start the process of looking for a new home you are most likely going to create a list of things your house must have. From a two-car garage to granite countertops and a spacious backyard, everyone has a different wish list when they start to house hunt. Determining your living needs verse wants is key when selecting a home to purchase. Before you look at properties it is essential to take time to determine what features make or break whether you purchase a home. If you would like to have a fireplace but feel as though this is a bonus feature and not a necessity, then you have more flexibility in the houses you are looking at. At the same time, you do not want to settle. You are going to be living in this house for at least several years. If you are hesitant about something, then do not try and convince yourself it is not actually an issue. Remember, cosmetic changes are easy to make but something permanent like the home’s location cannot be altered. If a home you are viewing is in the perfect neighborhood and provides a safe environment for your family but you hate the way the bathroom looks, then you must consider the value of the location versus the unimportance of the aesthetics. Bathroom remodels can be undertaken in a variety of ways within specific budgets and you may be able to make a few adjustments to achieve the vision you are dreaming of. You may miss out on a great home because you are too invested in having everything you have outlined on your wish list. When in doubt, speak with your realtor about what you want. He or she can give you a general idea of how much it costs to make changes in the houses you are viewing. By getting a sense for the condition of these main features you can determine if any repairs need to be made prior to occupying the home. Some repairs can prove costly and if you must repair several major features it could push you past your designated budget. You may be able to work with your real estate agent to have the price adjusted or to request the current owner make the repairs prior to signing papers. You never want to purchase a home in poor condition, as you may need months to make the necessary repairs, which can be expensive and ultimately delays your ability to move into your new home. You can request a structural inspection by a professional before agreeing to terms with the current owner of the home you are interested in purchasing. By requesting an inspection, you are ensuring all structural issues are being addressed before you invest in one property over another. A professional can help you determine the extent of any repairs needing to be made and can likely provide you an estimate of how much these repairs are going to cost. If the price of a house seems too good to be true, it most likely means there is something you need to repair in the home. Telling if a home is a good buy is a step-by-step process and there are several factors influencing your overall opinion and ultimate decision pertaining to whether you want to buy the home you have been looking at. One of the easiest ways to determine if you are getting a good buy with a home is to compare the purchase price of the home to the appraisal value reached by the county appraiser. If the appraiser has determined the value of the home is significantly less than the purchase price, then this may be an indication of a bad investment. The value of your home is important, as it reflects the quality of the structure, the neighborhood and the resale value for the property. A low appraisal value can be an indication of different issues, many of which may prove costly or difficult to fix. If the home has a low appraisal value, chances are you might want to keep looking until you find a more suitable option. If you have compared the potential purchase price to the appraisal value and have found the purchase price to be lower than the value of the home, then purchasing this home may be in your best interest. When a home is selling for less than its value, chances are you may be able to receive a larger profit for the home when you are ready to sell. You can make small do-it-yourself renovations and repairs to the home throughout your occupancy to further drive up the value of your home which would allow you to ask for more money when you are in the process of selling and moving on to a new home.